The translation of books and book excerpts has been carried o ut by various volunteers. “Introduction to the Old Testament” in several volumes is a Bible commentary unprecedented in the world, written by our contemporary well-known theologian, poet and translator. Since pre-revolution times it is the first attempt in Russia of extensive systematic exegesis appealing to the original language of the Holy Scriptures. The publication was compiled on the basis of a set of lectures delivered by the author in several secular and religious educational establishments in Moscow. By now three volumes have been published. They include the commentary to the first part of the Bible — Pentateuch, the Five Books of Moses (the Torah). This publication is addressed to everyone who wants to deepen his/her understanding of the main book of humanity — the Bible. The renowned Book of prophet Daniel (the VI century BC), which is a part of the Bible, includes predictions concerning the whole course of the history for 3000 years ahead. The work of D.V. Shchedrovitskiy — the well-known Russian theologist-biblicist, the author of the fundamental “Introduction Into the Old Testament”, provides detailed research of the prophecy of Daniel, commentary to it as well as reference to the events of the world history. This work presents the first overview of the huge layer of fulfilled predictions. The holistic approach to the Book of Daniel allows both to see the general direction of the world development, and to find out about the fate of separate countries, nations and religions, which have played or are destined to play a key role in the course of the universal history. The predictions directly focusing on the present days and the nearest future are of particular interest. Addressed to the broad circle of readers. 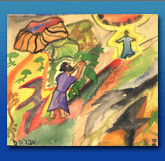 The book reflects on some of the core themes of the Sermon on the Mount. How may the life of a separate person as well as society on the whole be straightened, according to the teaching of Jesus? Why have certain forces concealed the connection of the Gospel sermon with social regulations of the Old Testament throughout centuries? The book provides answers to these and other questions. And mist before eyes fade away. These verses by Pushkin have served as a starting point for the commentary to Quran, written by a widely known biblical theologist, author of the multivolume «Introduction To The Old Testament» and a large number of publications in the history and teaching of Judaism, Christianity and Islam.